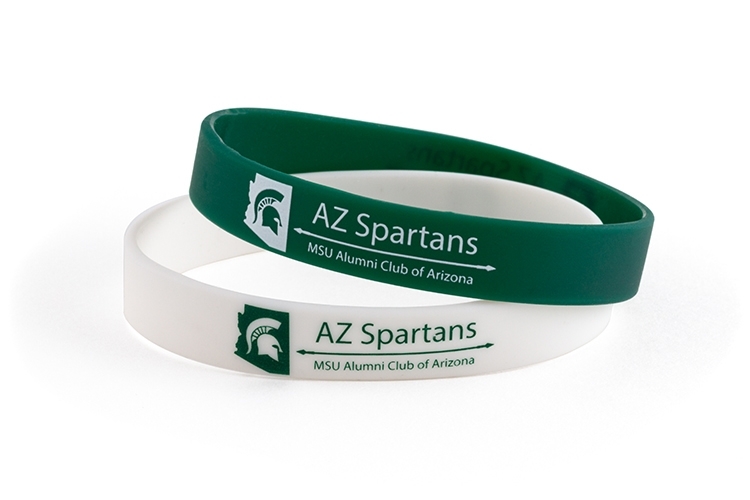 Silicone bracelets emerged on the scene years ago as a trendy way to get your message across, Today, silicone bracelets, dog tags, and thumb rings have established themselves as a core product in the promotion and fundraising industry. Think beyond simple one color bands with one message. Explore the world of tie-dyed, swirl, ColorFill, glow-in-the-dark and UV reactive silicone bracelets, rings, dog tags, key chains, and more.